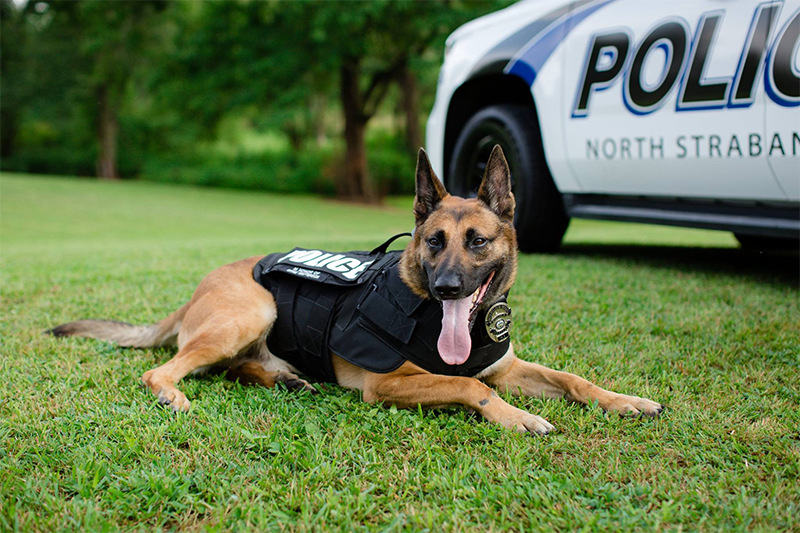 NORTH STRABANE TOWNSHIP – A North Strabane Township K-9 officer is back to work after suffering from a medical condition that threatened the dog’s life. K-9 Drago is back to work after surgery in 2018. Drago, the police dog for the North Strabane Township Police Department, underwent surgery in Dec. 2018 after experiencing an unexpected nosebleed one day. Officials say Drago lost two-thirds of his blood supply two weeks later. Drago was treated at PVSEC in North Strabane Township and received blood transfusions before undergoing surgery. In a Facebook post on Jan. 25, Chief Brian D. Hughes announced that the K-9 has recovered and is back on duty in Canon McMillan High School with a routine locker search. “It is good to have him back,” said Hughes.